A few truths about health and chiropractic. Since you’ve been benefiting from chiropractic care for some time, by now you know the nervous system focus of chiropractic and why many choose a schedule of ongoing chiropractic care. There’s just a few more things you should know about Chiropractic! Most people unfamiliar with Chiropractic and the supremacy of the nervous system will be surprised by the answers to these everyday questions. 1. What are the biggest differences between medical treatment and Chiropractic care? Generally, the focus of both systems is to restore the function of various organs, systems, tissues of the body. Medicine attempts this by using surgery and drugs to create change. Although at times necessary, this approach is palliative. It also robs you of your power and control over your own state of health. Chiropractic accomplishes health change by helping to normalize proper nervous system control. Adjustments reduce the stress allowing the nervous system to do its thing! The central nervous system knows how to regulate and heal you. 2. How long does it take to form a bone spur? Many people think that since obvious back pain symptoms just showed up recently, that their problem is a new one. However, if an x-ray is taken, chiropractors often see bone spurs. It takes decades for a bone spur to be visible on an x-ray. Decades. It is an obvious sign that the problem has been around for longer than you thought! A sad truth is that advanced arthritic changes (bone spurs) can be prevented if care is sought from an early age. 3. Why are some people allergic to pollen and others aren’t? The immune system, influenced by the nervous system, has incorrectly tagged a substance as something dangerous. Some allergic reactions can be linked to either physical, chemical or emotional subluxations, disturbing proper nervous system control and regulation or the immune system. 4. How do you “catch” a cold? The only way germs can manifest into the common cold (or any other disease) is when various types of stress lower your resistance, whether emotional, physical or chemical. While Chiropractic care cannot eliminate stress from your life entirely (nor would you want all stress gone! ), it can help you accommodate to stress better and reduce the chances of “catching” a cold, the flu or other diseases. 5. 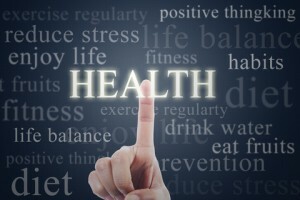 Why is Chiropractic care increasing in popularity? Chiropractic grows because people like you share their experience with others. It is a drug-free way to maximize your health and reduce pain. Have you referred your Chiropractor today? If you are looking for a Chiropractor, click here to book your assessment.